A Minnesota police clerk who went to court to leave her union is walking free after the labor group settled the case and agreed to pay her nearly $500 in back dues. Brainerd Police Department clerk Sandra Anderson sued her union, the International Brotherhood of Electrical Workers (IBEW) Local 31, in November for enforcing a “window period” that bars members from opting out of the union except during a 10-day period before a worker’s contract is up, according to the National Right to Work Legal Defense Foundation (NTWLDF). The U.S. Supreme Court ruled in June that mandatory union dues – paid to labor groups as a prerequisite to holding a job – violate the First Amendment rights of all public sector employees. After the ruling, Anderson sought to exercise her newly protected rights and cut ties with Local 31. “This means that if you wish, you can opt out of paying union dues in writing during the ten day period prior to the expiration of the current contract,” the email said. Anderson, represented by NTWLDF attorneys, took the union to court over the supposed illegality of the tactic. The union ultimately settled the case, letting Anderson quit her union membership and agreeing to pay her $474 in back dues. 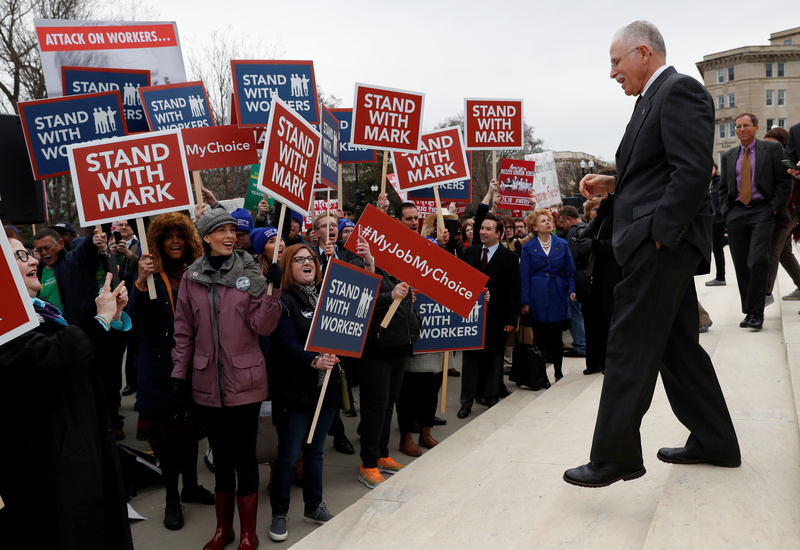 Anderson’s case is one of many across the U.S. that have been filed in the wake of the Supreme Court decision in Janus v. AFSCME, which banned mandatory union dues in the public sector. The decision affected roughly 5 million government workers. Public sector unions are expected to lose hundreds of thousands of dues payers in the decision’s aftermath, at least. The Service Employees International Union; American Federation of State, County and Municipal Employees; National Education Association and American Federation of Teachers, some of the largest public sector unions in the U.S., boasted 400,000 non-member union fee payers on their rolls before the Supreme Court ruling. Local 31 did not respond to a request for comment.